How important is wedding entertainment to you? What proportion of your wedding budget do you plan to allocate to entertaining your wedding guests? As a wedding planner, wedding entertainment is something that I am absolutely passionate about. I believe very strongly that the most memorable weddings are those where the guests have been engaged and entertained throughout the day. And I also believe that as wedding hosts, there is an obligation to give your guests an amazing experience. Firstly, how many of you have been a guest at weddings that have been, to be blunt, boring. Undoubtedly the couple will have spent a considerable sum of their hard earned money on arrangements for the day, including venue hire, food and drink, flowers, photographer, DJ, the wedding dress, the rings and so on… and of course the primary reason for everyone being there is to witness their marriage, so you might say this should be sufficient. But when the guests are standing around looking bored, checking their phones, discussing how early they can make an exit, surely this is not how it should be. 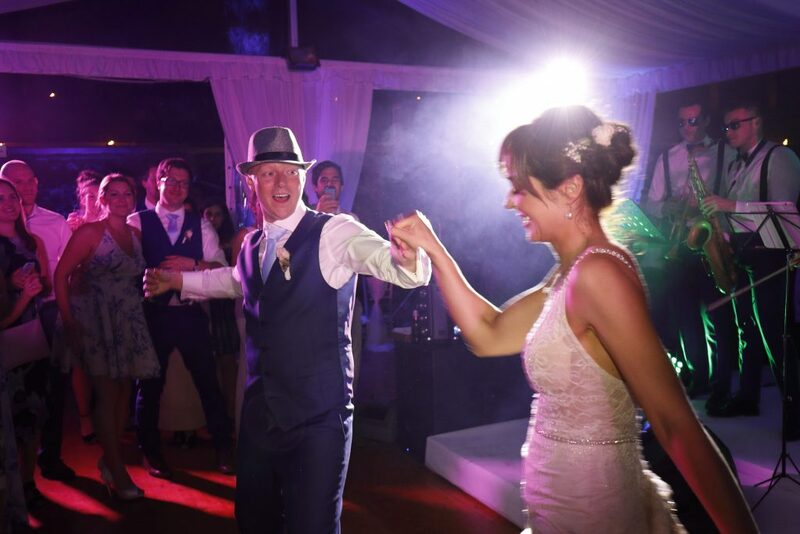 Would it not be better if your guests were totally engaged in the day, enjoying themselves throughout and as such building a wedding day vibe that you and your guests will remember and be talking about for years to come? My second point relates to the fact that attending a wedding these days can be quite a big “ask” in terms of cost and time for many of your guests. And even more so for guests attending a destination wedding. Your guests will be taking time out of work, paying for flights and accommodation, and maybe also paying to attend hen and stag weekends, buy a gift, buy a new dress or suit. All of this can amount to a significant sum. For many guests it can also require a great deal of logistical planning to be away from home, work and/or family and to get themselves to your wedding destination. Most of your guests will do all of this gladly, of course. In reality, it’s what we have all come to expect and there is a general acceptance that attendance at a wedding can be costly and something of an undertaking. But I believe, that as wedding hosts, it is your responsibility to acknowledge this commitment by your guests to your special day and repay it in kind with generous hospitality. But not only should this include food and drink, but also fantastically fun entertainment. 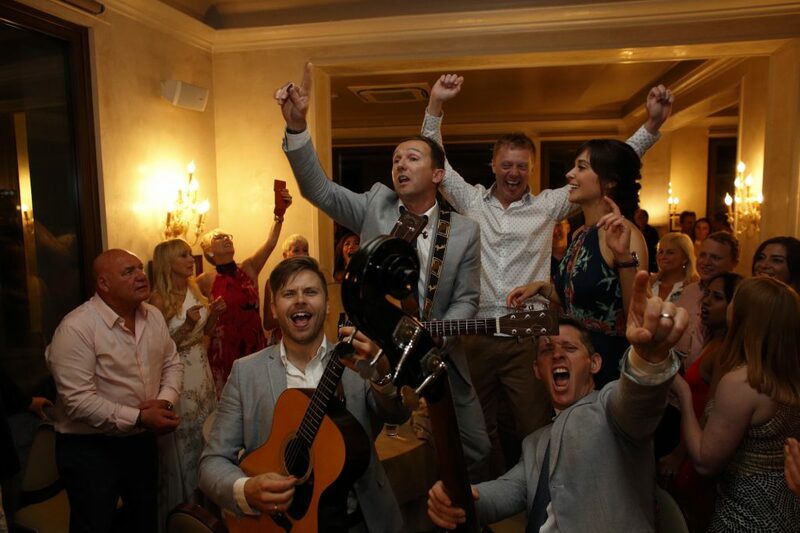 Make your wedding day a huge party from start to finish and your guests will love every minute. In my experience, many couples will allocate a tiny proportion of their budget to entertainment. Some won’t allocate anything at all. In my opinion this is a massive error in judgement. Of course you want your wedding venue to look beautiful and this is a very important element for your day, but whatever you have decided to spend on flowers and other styling and decorative items should, I believe, be the same (or more) for entertainment. “The big reveal – that first view of the set up – is a few seconds of the day for each of your guests, but if you entertain them, this can continue for the entire wedding. It’s a “no-brainer” as far as I am concerned, and in many ways I see it as my mission to bring this ethos to the weddings that I plan. Of course, it is your day and if you disagree with me on this, that is entirely your right and I would totally respect it, but if you follow my advice on this issue, I promise that you won’t regret it. Your guests will end up saying things like “it was the best wedding we have ever been to”!! 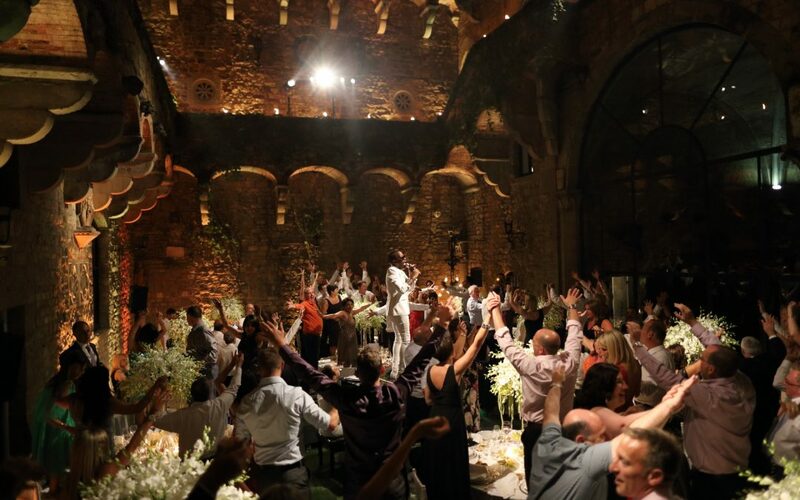 If you would like to discuss your options for wedding entertainment, please get in touch by sending an email to michelle@elegantebymichellej.com or call me on + 44 7734 976459. Or, you can head across to an earlier blog post that I wrote on this subject.